A premium quality extra virgin olive oil sourced from the Pons family olive groves in rural Lleida, Cataluña; made from 100% Arbequiña olives which are pleasingly fruity and buttery with a rich, mild flavour. 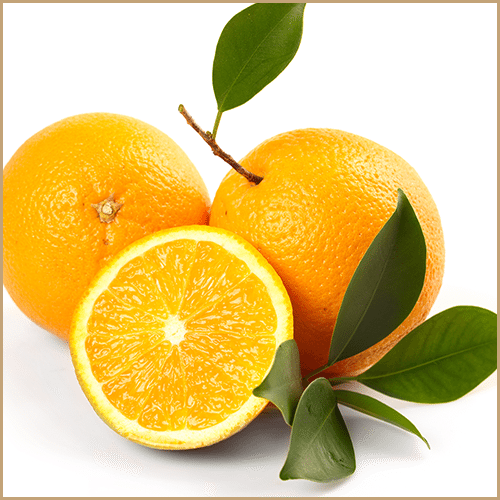 The freshly cold-extracted olive oil is then infused with pure, natural Orange essential oil. Toss green asparagus spears in this oil, season and roast for 20 mins until tender. Sprinkle with Parmesan shavings. The perfect dressing partner with our Fig Balsam Vinegar. Try it drizzled over a salad with watercress, orange & walnuts. Use to replace butter in cakes, biscuits and puddings. Mix chopped apple, apricots, raisins and pecans. Brush chicken breasts with the oil and bake. Spoon the fruit and nut mixture over the cooked chicken. Scatter with chopped coriander and serve with spiced couscous on the side.